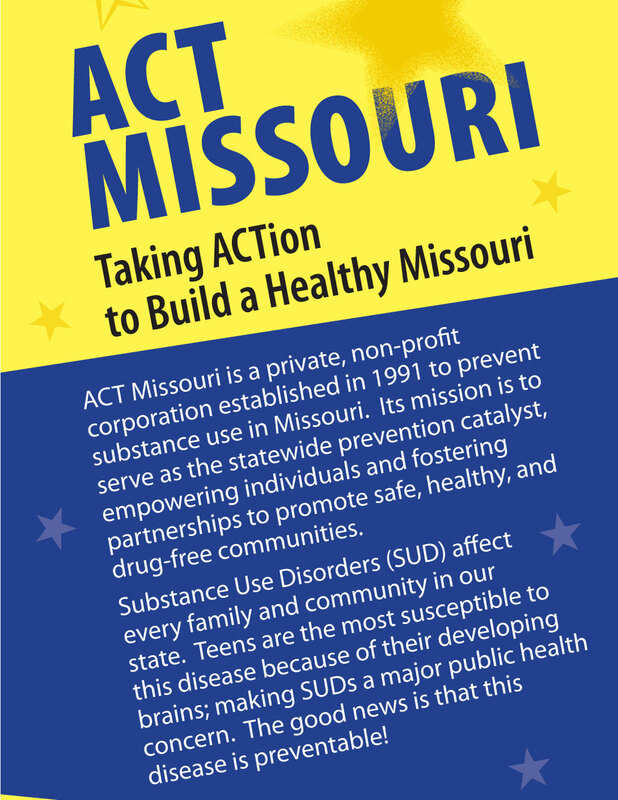 ACT Missouri is a private not-for-profit corporation established in 1991 to promote drug and alcohol awareness throughout Missouri. We work with great community groups across the state to spread the message about making healthy choices. We also partner with national organizations like SADD and The Partnership for Drug-Free Kids. Funded by the Missouri Department of Mental Health, we keep track of state facts, policies, and trends when it comes to drug use. We also have a network of Regional Support Centers and community coalitions that we support, serving as a communication hub. We collaborate with other statewide agencies like the Missouri Pharmacy Association, Missouri Alliance for Drug Endangered Children, Missouri Department of Transportation, and Missouri Juvenile Justice Association in joint efforts to produce healthy, drug-free communities. Join us in building a healthy Missouri! 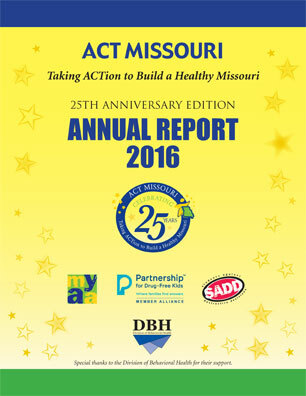 For more than 25 years, ACT Missouri has been serving as the statewide prevention catalyst, empowering individuals and fostering partnerships to promote safe, healthy, and drug-free communities. 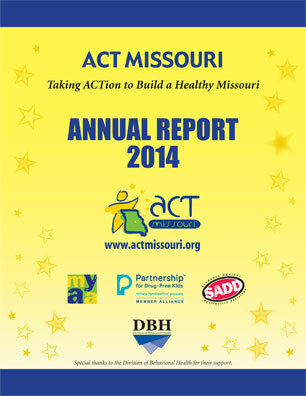 We strive for healthy individuals, healthy communities, and a healthy Missouri. These reports highlight ACT Missouri’s activities, including new programs offered to communities across Missouri and accomplishments achieved.